After being spotted on pitches and Twitter feeds for the best part of a week, it’s finally time to unveil the Nike Mercurial Vapor VIII – Retro / Orange / Red! 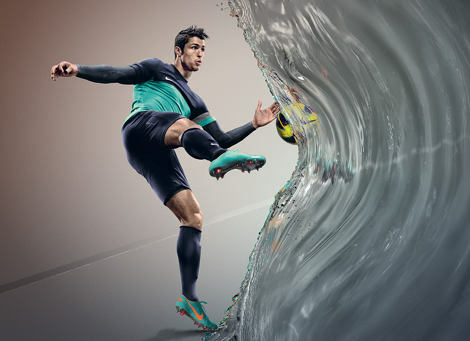 After being seen on the feet of Cristiano Ronaldo, Alexandre Pato, Robinho, Theo Walcott and dozens more over the past seven days, it’s safe to say that the player response to Nike’s latest speed football boots has been nothing short of positive! 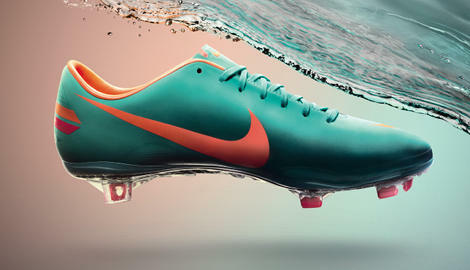 The Nike' Mercurial Vapor VIII' – Retro / Orange / Red' use the Retro Blue colour we’ve not seen on the Vapor series before, (aside from on the Volt Retro Superfly III’s from last season), and the contrast between the light blue and bright orange definitely gives a great effect that’s definitely unmissable. 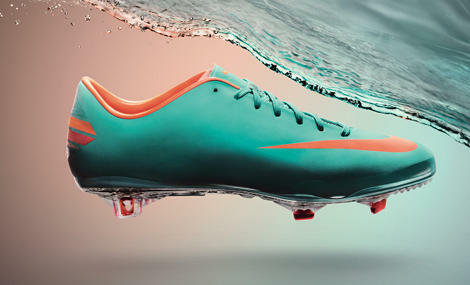 As well as a brand new colour, the latest Vapor VIII' also brings some new technology to the table. Now featuring the ACC – All Conditions Control – that debuted on the CTR360 III, the latest Mercurial' is better equipped than ever to deal with bad playing conditions. 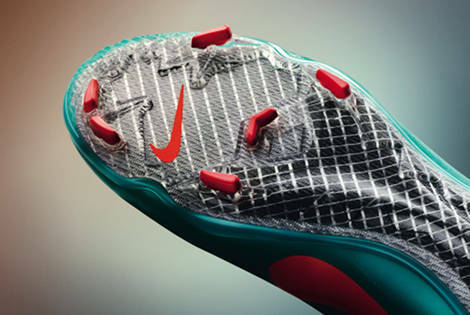 Using a special treatment process, applied during production, the Mercurial Vapor VIII' – Retro / Orange / Red‘s ACC coating adapts to give the same level of friction in both wet and dry conditions. To give the ACC the most' noticeable' possible effect, the suede-like upper from the two launch colourways returns to the new Vapor VIII, replacing the leather-like Teijin we’ve seen on the past two colourways. Nike have also continued to tweak the design based on elite and amateur player feedback as – whilst it’s not something mentioned in the press release – we can definitely spot some added' reinforcement to the join between the upper, toebox and soleplate. 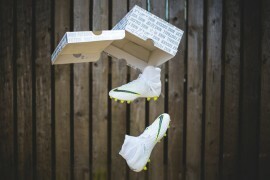 Speaking of soleplate, despite the ' PFA investigation into the studs, Nike’s Vapor VIII' remains unchanged – with both the SG-Pro and FG versions still available. 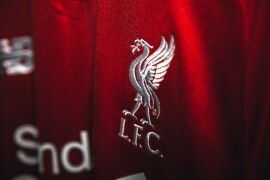 On pitch already, you’ll be able to order the Nike' Mercurial Vapor VIII' – Retro / Orange / Red' from October 1st for £155 / $230 US. 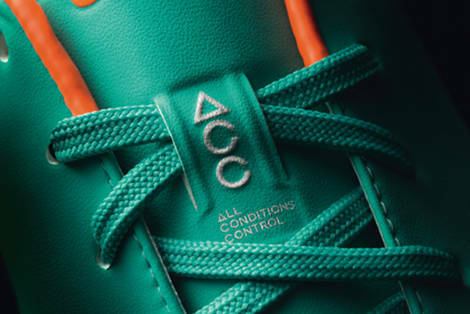 Pingback: NIKE ACC: GENIUS OR GIMMICK?